In order to succeed in today’s fast growing world, you must have an online presence on the web. Every day more and more people are involving on the web to gain traffic. But most important thing is to attract visitors to a website which provides a powerful impression on company’s profile. If you want to give your business fullest potential for global exposure then you need to place your business on the World Wide Web. It doesn’t matter whether the size of your business is large, small, medium, single or multi-national, having your own website will always provide you invaluable advantages. You need to have a well-organized website to attract your customer and gain huge traffic. Well, here are few advantages of having your own website for the business. Advertising your business through different forms like radio, printed media, television or other such platforms costs much. Isn’t it? It’s known fact that one need to invest in advertising in order to enhance to brand visibility but that need to be done with lower budgets. So the ultimate way to lower advertising costs is to maintain your own website which assists you to promote your products and business. You should create an environmental friendly website when it comes to advertising and marketing. There are multiple ways to advertise your products or to show its service facilities through the web. 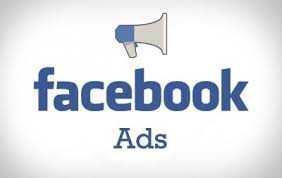 One important example could be Facebook ads, it’s a good advertising feature provided by Facebook. Another thing is to have a good SEO provider which can boost the SEO ranking of the website and leverage the products. By having your official website, you will feel much convenient for your product visibility and leads for the business. Make the easier way for your customers to reach through your product and then they can purchase easily. A good website can provide you generating more customers worldwide. Everything is accessible through the internet and the more you use it, the more your business would be visible around the world. Most of the business has huge popularity but at the same time, they lack with having potential customers. A website can let you generate more customers and also the business leads. A well maintained and an updated website can help you getting more customer easily. People love to look at a website rather than visiting shop, that’s why the more you add different features to make your website attractive, the more engagement you will get. Have you ever heard, by keeping a website you can track everything which happens all around? But keeping your website fresh and updated can make a great advantage on your business. Smart businessmen use to create a blog page where they post their contents and describe the website related post. By keeping a particular section of a blog post, you can put the relate contents there and it would help you keeping your website fresh and attractive. Beside from all the other benefits, a website gives you the way to communicate with your customer and know their expectations from you. If we start counting the benefits it would go longer and longer. But having a website is the simplest way to reach through your company and products. We encourage you to ask more benefits about having a website. Please send your comments regarding the blog.